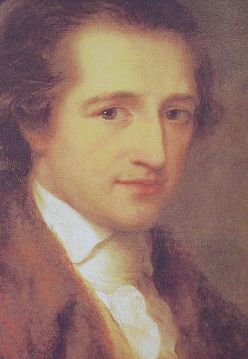 Goethe was one of those souls who constantly searched for truth. I have been thinking about his approach to science lately. Although he is widely known for his literary work not many people know that he was also a scientist. He wrote several works on plant morphology, and color theory. Goethe advocated what Pierre Hadot calls the Orphic attitude towards Nature. Orphic attitude can be described as penetrating the secrets of nature not through violence (experimentation and technology) but through melody, rhythm, and harmony. The Orphic attitude is unveiling the secrets of nature through discourse, poetry, and art. Another approach is what Hadot calls the Promethean attitude which tries to unveil the secrets of nature by obliging Nature to answer its questions. Francis Bacon who is one of the founders of scientific method said “Let the human race recover his rights over nature, rights granted to it by divine munificence.” Francis Bacon also used the metaphor of “interrogating nature.” In the Promethean attitude one unveils the secrets of nature through technology. Modern science experiments are examples of the Promethean attitude. Goethe contradicted Francis Bacon by saying that “Nature keeps silent under torture.” Goethe thought the best way to discover the secrets of nature is through perception and the aesthetic description of perception. There is yet another attitude. We can study Nature as a spiritual exercise. This is the attitude I adopted. I was very pleased to discover that Hadot discusses this subject in his book “The Veil of Isis” . I agree with Hadot that the primary motivation for the study of Nature should be service to mankind. In the Renaissance Universal movement the ideal is stated as “art and science for service and sacredness”. In the philosophy of the Renaissance Universal movement, art and science are never treated separately. It is always “art and science” together. Art includes music and literature in this definition. Goethe saw art and science as a unified field. Unfortunately, science today is rather isolated from art. Science today became a tool for power. The Promethean attitude towards science contributed to this but I also think that the mental development of the scientists is a contributing factor. In science today we encounter very powerful minds who are intellectual giants but very ignorant in ways of the “aesthetic science”. Modern scientists, philosophers and the uber-intellectuals of the modern-age should remember Goethe and the lessons in Faust. The body of the scientific knowledge is growing exponentially and it seems to me that some scientists are adding layers upon layers of new veils covering their souls. This is what Goethe was trying to say in his re-telling of the Faust-Mephisto legend. Faust lost his soul in return for limitless knowledge. In real life this happens very slowly. As we become more intellectual our knowledge and understanding of the world grows but our ego grows too. Scientific knowledge is good, of course. My warning is against the growing dogmatism in some scientific circles and the over-blown egos of some scientists. Ego is the veil that hides the truth. Ego distorts the perception of reality. Egos of the scientists influence their theories. Sadly, their overgrown egos prevent them from recognizing the unhidden truth. One can be very knowledgeable but if there is no love in his heart he can be dangerous. This theme has been worked endlessly in the literature and film but we need more thoughtful reminders in the spirit of Goethe. It is not just scientists, even spiritual seekers can easily be hardened by the ego. This happens to me too. I often confuse mental joys with spiritual joys. I am very fond of abstract thinking. I am working on a book where I try to “put it all together”. I am trying to summarize the abstract principles I learned from ancient and modern sages. I look for the common themes and the consistency of the spiritual experiences in all traditions and put it all together using intuition and logic. This gives me great joy but is this spirituality? NO. Unfortunately it is not. Writing about the Cosmic Consciousness gives me great joy but is it spirituality? No, it is not. Spirituality is about Love. Spirituality is about helping others, spirituality is about healing others. Spirituality is about transcending the ego. By writing articles and by writing a book on spiritual philosophy, I may be having fun but that book will not help me towards enlightenment. One sentence summary of what I learned from all the spiritual traditions is that the enlightenment will not take place until we transcend the ego. How do we transcend the ego? They say the best way is to develop capacity to love and eventually feel the infinite love God is showering on us. When we are deeply in love we are reflecting God’s love and that helps us with transcending the ego. Religious rituals without devotional love will not help us towards enlightenment. Any activity with devotional love, however, will take us one step closer. This entry was posted in spiritual philosophy, spiritual practice, spirituality and tagged Cosmic Consciousness, Francis Bacon, Goethe, Johann Wolfgang von Goethe, Pierre Hadot, Religion and Spirituality. Bookmark the permalink.